As announced yesterday, E! 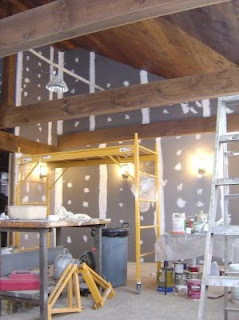 started taping in the beer hall as a precursor to plastering, not that it is going to happen anytime soon, but when it happens, the walls are ready. 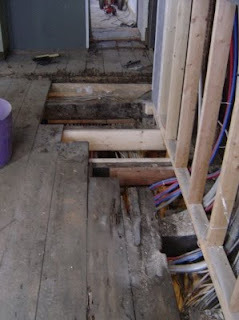 I just continued working on the bar floor by making the small hole bigger (a man needs a challenge). Happy New Year, you two. Everything is looking great.